Measures readiness to take risks when driving. In everyday life individuals accept a certain level of risk if they expect to gain from it. The individual’s willingness to take risks varies from situation to situation. This test assesses behavior in driving situations of various types: speed and overtaking situations, decision-making situations at junctions and driving situations involving either good or bad weather conditions. Because of its relevance to everyday life, this objective personality test is used successfully in safety assessments and traffic psychological investigations. 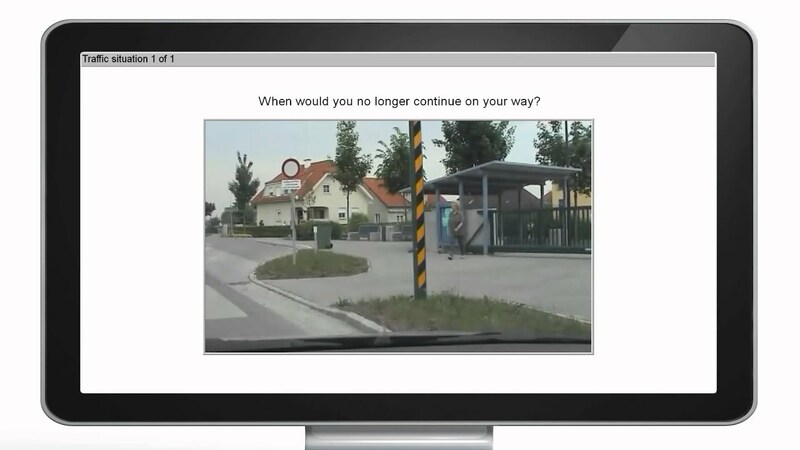 The respondent views video clips of typical driving situations. Before the actual showing of the video the situation and the respondent’s hypothetical intentions in that situation are described verbally. Each driving situation is then presented a second time. The respondent now presses a button to indicate at what distance from the moment of danger he/she would consider the driving maneuver to be critical or dangerous and would therefore no longer perform it. Readiness to take risks when driving: Measure of readiness to expose oneself to objective danger when driving. The item material consists of video clips.